Now I spied these a while back in the Delicious magazine but I noticed they peeled the potatoes and as we all know the skin of a potato is where all the vitamins are so I left the skins on. Plus their recipe serves 4-6 and there are only the two of us. So I set about giving it a go only in a smaller size. They do take a time to cook but the end result is something special. Crispy around the edges but soft melt-in-the-mouth lemon, garlic potatoes underneath. Thinly slice the potatoes about 0.25cm thick. 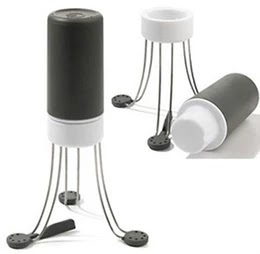 The easiest way to do this is to use a mandoline or the slicing attachment on a food processor. Put the slices in a large bowl of cold water as you go. Drain the potatoes and dry well with kitchen paper. Stack the potato slices upright in lines that run the length of the oven dish then pack them tightly together so they support each other. Mix the olive oil, garlic, lemon zest and juice with the dried thyme and oregano. 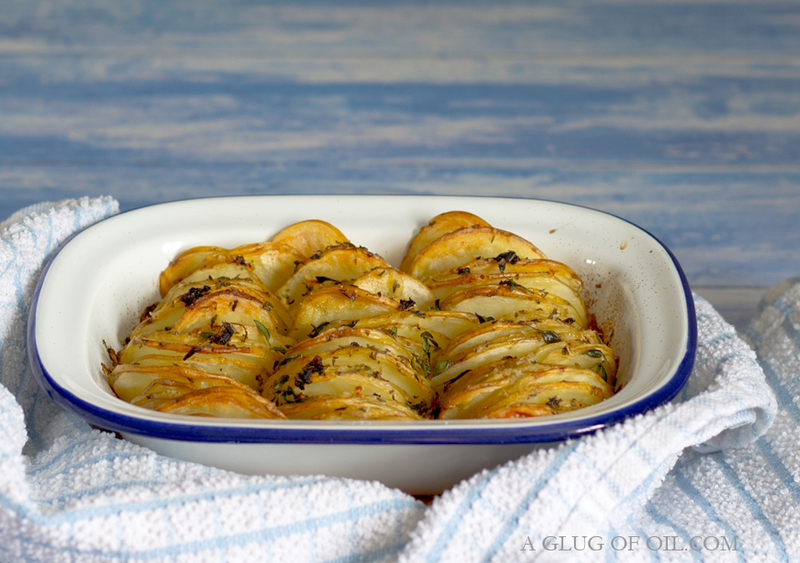 Drizzle over the potatoes, and then sprinkle with sea salt and the fresh thyme leaves. Bake for 60-70 minutes until crisp and golden. You will need to cover with foil probably after about 30 mins or so otherwise they will go too brown and possibly burn. Test that the centres of the potato slices are soft and cooked through with a skewer before removing from the oven.